The scale of dog attacks in Scotland has been revealed as a Holyrood committee considers reviewing the law. The post-legislative scrutiny committee heard parents of children killed or disfigured by out-of-control dogs detail the horrific attacks endured when owners acted irresponsibly. It heard that thousands of people are treated each year by hospital emergency departments for dog-related injuries. 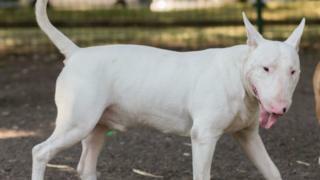 It will make recommendations on changes to the Control of Dogs (Scotland) Act. MSPs heard from the mother of 11-year-old Kellie Lynch who was killed when two Rottweiler dogs turned on her in Dunoon in 1989. Veronica Lynch told MSPS: "The owner of the dogs stupidly allowed my daughter and his daughter to take out his two massive Rottweilers. They must have been a combined weight of about 19 stones. Kellie didn't stand a chance. "The injuries she suffered were so severe that we were not allowed to touch her. "We realised later that she had been decapitated." Claire Booth, a mother-of three from Bishopton, described an attack on her son Ryan by two dogs when he was six years old. Ms Booth was with her son, collecting chestnuts in a local park when a white English bull terrier knocked him to the ground and attacked him. Another bull terrier then joined the attack, she explained. "It was carnage at the scene," Ms Booth told the committee. "They covered his whole body and when I got to him his ear was hanging off. "The owner was shouting 'don't worry, the dogs won't touch you' as I screamed for help." Ryan is permanently disfigured and has to go through three more surgeries. He cannot enter a park and Ms Booth said he had lost his childhood. She felt the police were powerless to help them. She said: "I was very frustrated with the police." "The whole process was a bit farcical to be honest." The owner was prosecuted and got the maximum community service and one dog was destroyed, but the other was given a control order which was never followed up. Ms Booth supports a law seeing dogs kept on leads in all places. The committee heard from Radio Clyde journalist Natalie Crawford who initiated a campaign to keep dogs on leads in public places. She found through Freedom of Information requests that in the last year, Scotland's largest NHS board, Greater Glasgow and Clyde, that 1417 people presented at A&E departments with dog-related injures, 255 of them children. NHS Lanarkshire treated 912 people and NHS Ayrshire 439 patients, both of which were four-year highs. She also discovered that Glasgow City Council - Scotland's largest local authority - until recently had just one part-time dog warden and that there had been no dog control notices issued in a three-year period. Dr Judy Evans from the Royal College of Surgeons told MSPs hospital admissions from dog attacks had doubled in the last ten years. She said children tend to have worse scars from attacks because their scar tissue grows as they do and that dog attacks are very rarely a minor injury. Dr Alasdair Corfield from the Royal College of Emergency Medicine, told MSPs attacks like these happen thousands of times a year in Scotland. He said; "And those are just the ones counted by hospital admissions, as not everyone will attend A&E. "It's a public health issue", he says, adding that a coordinated response is required. Dave Joyce of the Communication Workers Union told the committee 250 postmen and postwomen are attacked by dogs in Scotland every year. Those giving evidence supported several measures and a "deeds not breeds" approach which is based on the owner and dog's behaviour, not the type of dog it is. The session followed a number of public engagement meetings in December and January. Convener Jenny Marra said: "The serious impact of such attacks on individuals and their families demonstrates the need for effective legislation in this field. "The committee's job is to consider the current law and whether and how it should be strengthened."